Celeste Jones has plans for a perfect summer with her boyfriend (and hopefully soon-to-be fiancé) -- until he dumps her to be with the woman he's had on the side for months. Heartbroken and furious, Celeste resolves to move on. When the going gets tough, the tough…okay, the not-so-tough go to the beach. 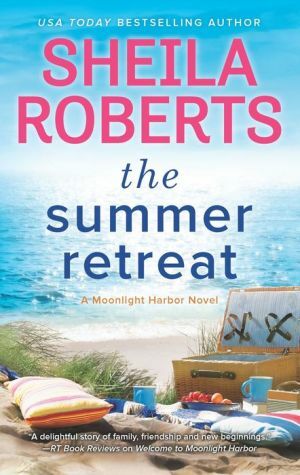 As soon as school lets out for the summer, she waves goodbye to her first-graders, packs up her bikini and heads for Moonlight Harbor, where she knows her big sister, Jenna, will receive her with open arms. Jenna could probably use some help at the Driftwood Inn, and Celeste is happy to do chores around the place in exchange for a relaxing summer escape. She just needs something -- or someone -- to distract her from her troubles. Finding The One can be tricky, and Jenna is determined to make sure Celeste gets it right this time around. Not that Jenna's an expert. She's still trying to sort out her own love life. But if both sisters listen to their hearts, eventually they're bound to discover that life -- and love -- is good at the beach.